I hear a lot of people say weekends are the hardest time for staying on track, or sticking to your low carb diet. That’s not the case for me, whether I’m going out or staying in, because my ketogenic low carb diet has just become “who I am” – or part of my everyday lifestyle. I think it also helps to focus on the FUN instead of the food, which is something we discussed in this week’s low carb class (those recordings are available to replay anytime now, btw!). 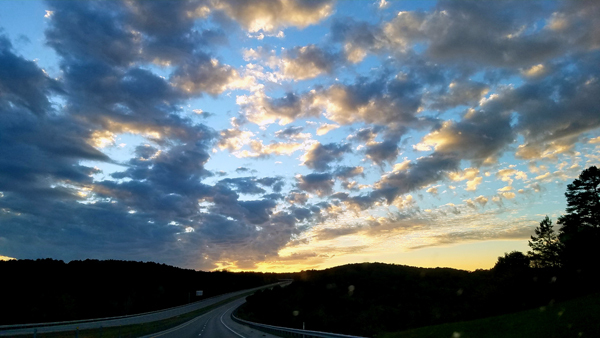 It was a beautiful weekend for a road trip between Tennessee and Georgia! 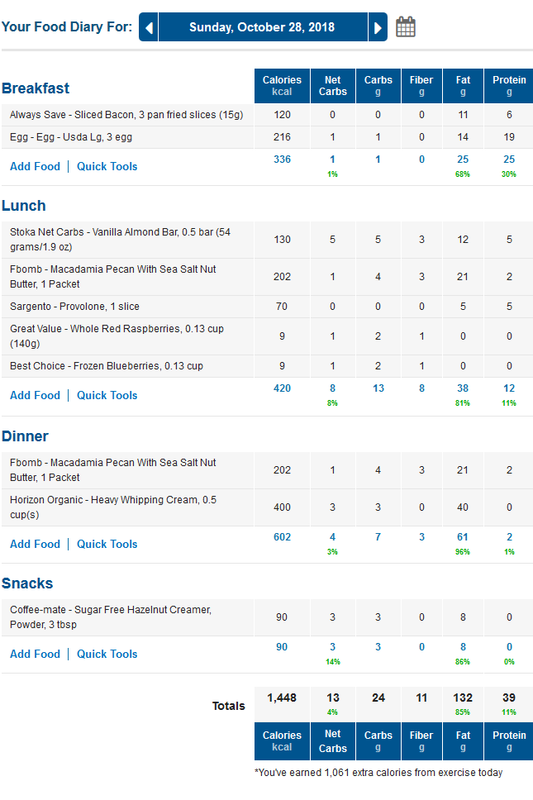 Before I left for Atlanta on Saturday, I ate super low carb. I tend to do that on days when I know I’ll be eating out somewhere or if I plan on having a few drinks that night. 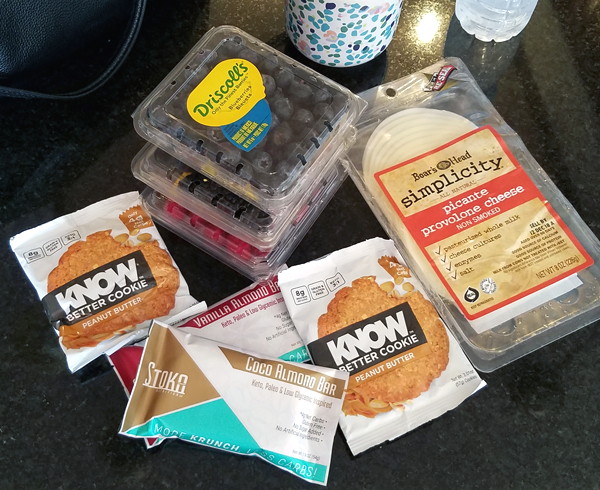 I also pack my own low carb snacks and foods for road trips, just in case I need a quick meal or something to power through a situation where I can’t get a low carb meal. I had a busy morning and started the day off with a Zero Carb Keto Shake. 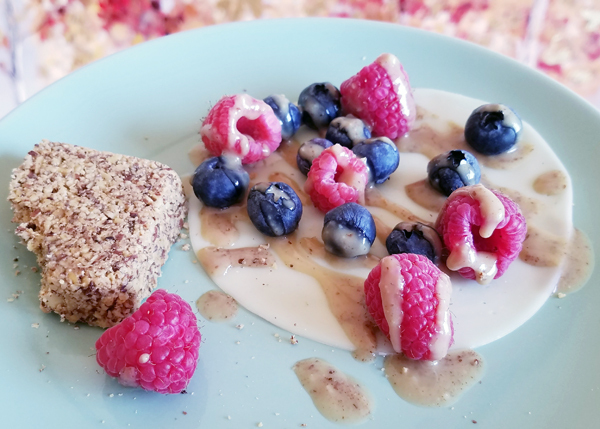 The chocolate is zero net carbs, the vanilla is only one net carb, so that was an easy meal replacement that holds me over – without any carbs! 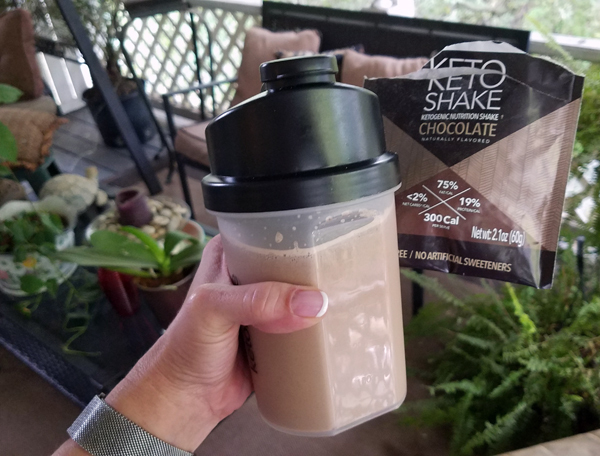 You can get the keto shake mix in individual packets for on-the-go or in larger tubs (a better deal), and you can get the tumbler there too which is super convenient! See: Ketologie Keto Shakes Our coupon code is LowCarbTraveler for a discount. 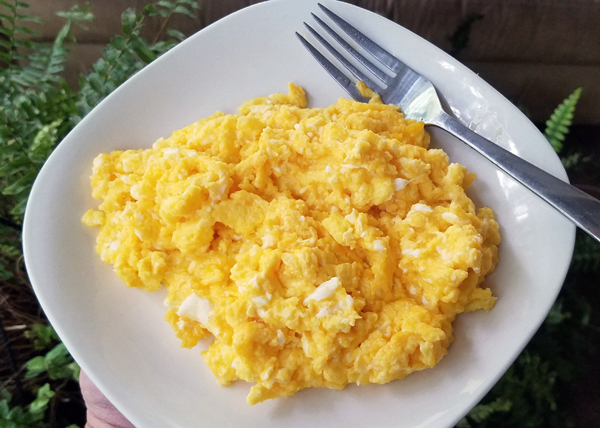 It’s 5 eggs, real cheese cubed off the block, scrambled in real butter. Easy, delicious, filling and super low carb! 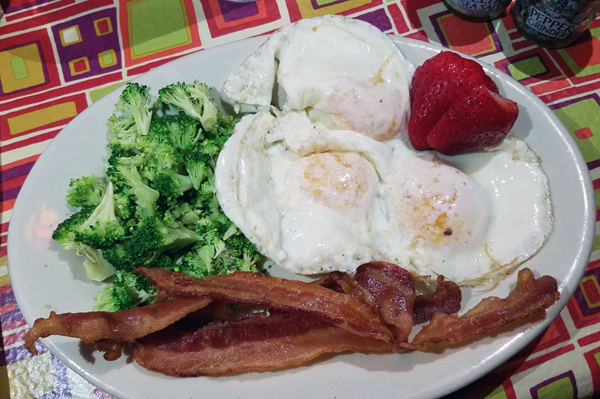 I got the Peachtree Morning breakfast platter with 3 fried eggs, bacon, steamed broccoli – and fresh strawberries in place of toast. My friend Alice (on my right below) had a big bunless burger with avocado and bacon and steamed broccoli. 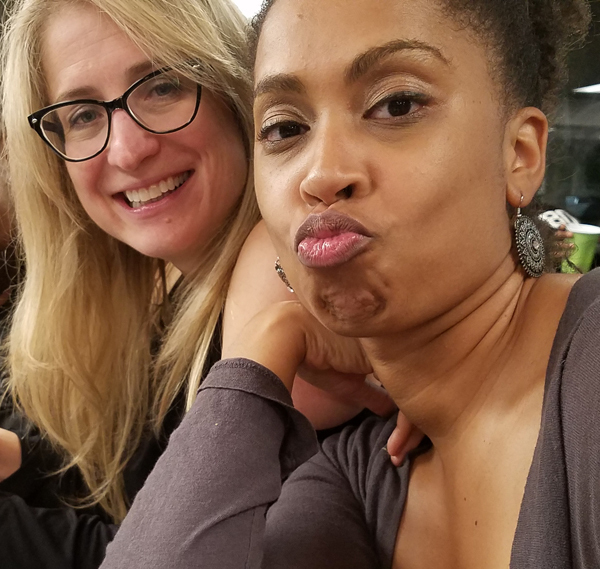 My friend Monique (left) had some type of paleo bowl – she eats low carb, but mostly paleo/gluten free. We had a glass of wine and a toast before we went out. 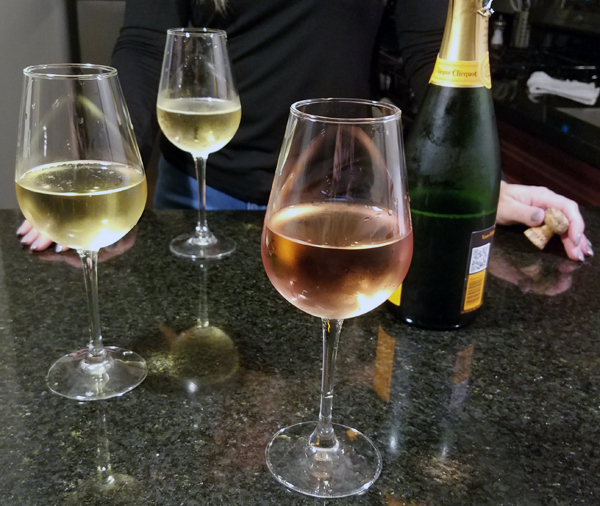 Actually they had champagne – but Alice was nice enough to have my favorite low carb wine on hand: Beringer White Zinfandel. After dinner and wine we went out to a favorite little spot and danced ALL NIGHT LONG! Unfortunately they didn’t have my low carb beer there (I like Michelob Ultra when I’m out dancing), so I had rum & diet coke instead. We closed the place down dancing and laughing, which was a great time! 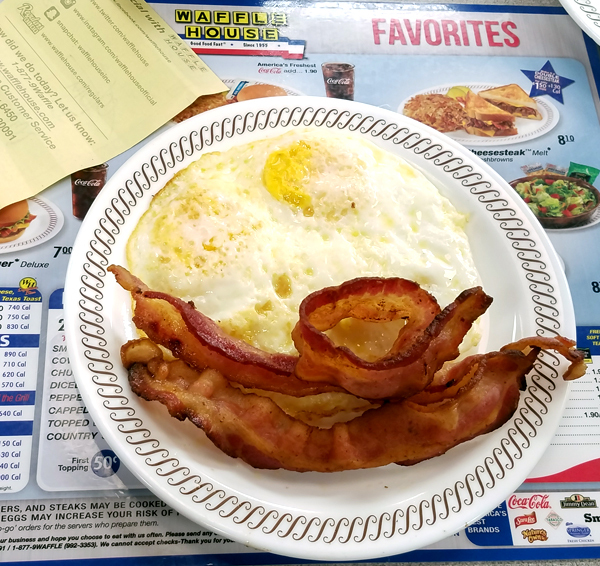 Then headed to waffle house for a quick bite to eat before we called it a night. To be honest, the rum hit me hard. I don’t drink often, lol. So I was SERIOUSLY TEMPTED to order something I shouldn’t. I turned to Alice and said, “Order for me too, please” and went to wash my hands. I came back to this beautiful and simple plate of 3 fried eggs and bacon! This is Monique and Alice, the girl friends I was out with for the weekend. Amazingly smart and beautiful women and FUN friends! 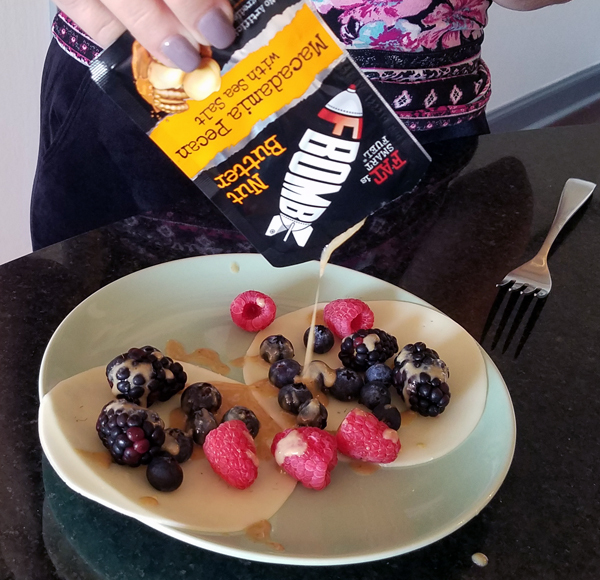 I mentioned I brought plenty of low carb foods with me “just in case” and Alice had some fresh blackberries, raspberries & blueberries in her refrigerator – and ooh, provolone cheese! 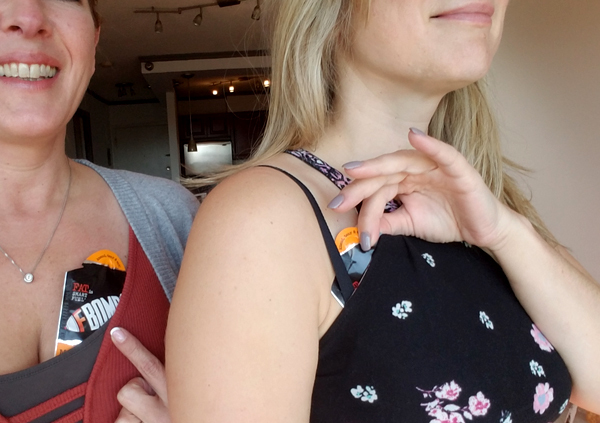 I also had some FBOMB Nut Butter Packets, so I taught Alice how to warm those up a little with body heat so they knead up nice and smooth. The Macadamia Pecan & Sea Salt was AMAZING over fresh berries! Those are from Love You Foods and a 20% off discount is coded into that link for you! 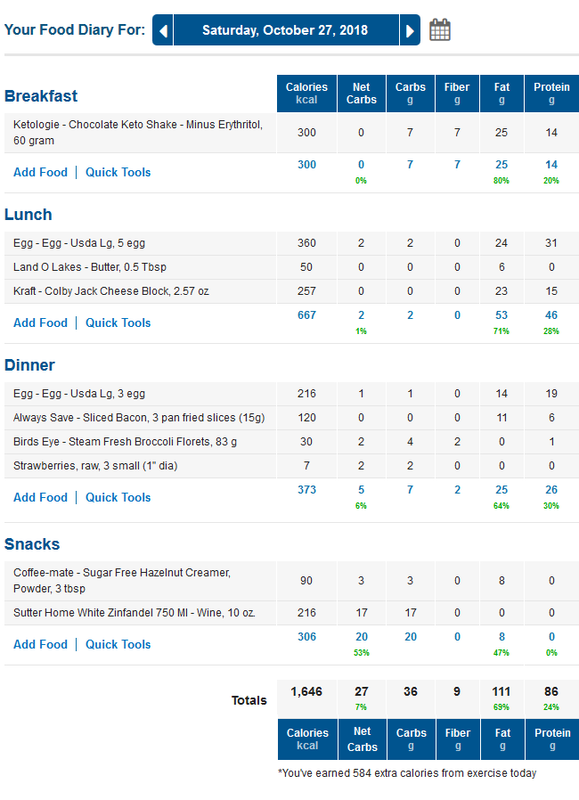 That’s what I had too, and we split a Stoka Bar which is both gluten free and keto friendly, and just 4 net carbs for a whole bar. The new Stoka Bars are crunchy, like a Nature’s Valley Granola Bar – love!! 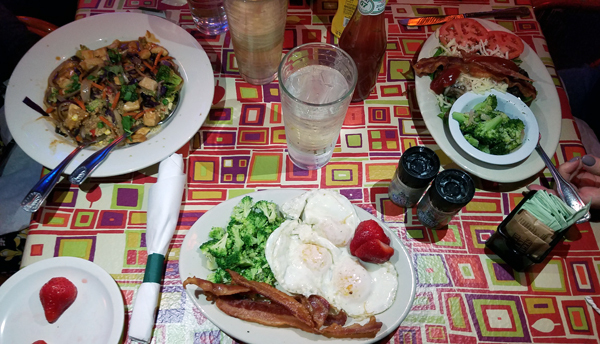 It may not look like much on my plate above, but remember: I had bacon & eggs before I slept that morning – and this plate was 420 calories, because I finished the Macadamia Pecan nut butter packet too. I felt pretty satisfied and enjoyed the beautiful sunny Fall afternoon in Atlanta with Alice before heading back to Tennessee. On my way out of the city I stopped at Starbucks and got a 31oz (Trenta) iced coffee for the road trip home. It has about half a cup of heavy whipping cream in it (no classic syrup!) 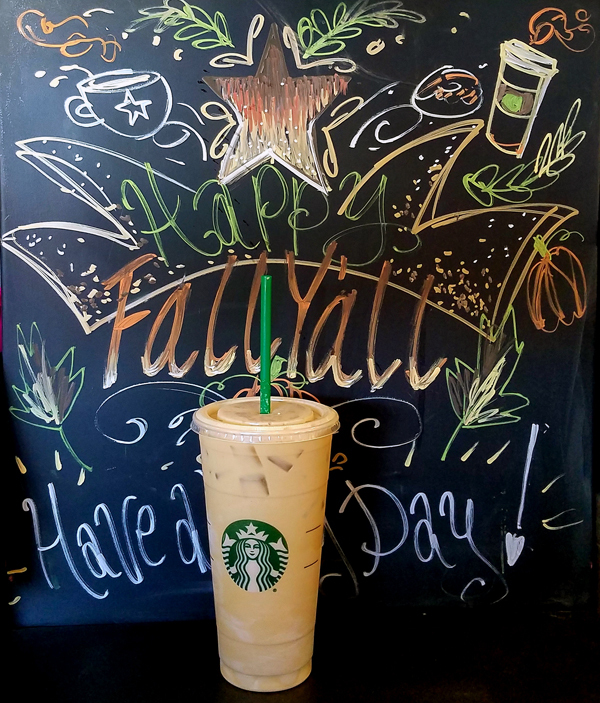 and 4 pumps of sugar free vanilla + 4 pumps of sugar free cinnamon dolce. Delicious combo, and refreshing for a sunny road trip! 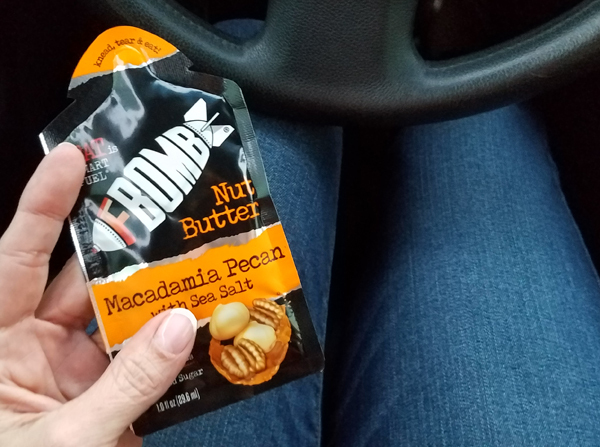 I was pretty close to home when I felt a little hungry, so I had another Fat Bomb packet while I enjoyed the scenic route back home – around the back side of Chattanooga and over the mountain. Regardless though, time out enjoying great friends and good conversation is SO nice. It’s important to focus on the people, the fun, the things you talk about, the places you go – the experiences – rather than being focused on the food during your social outings. I got A LOT of good Fitbit Steps between Saturday night and the early hours of Sunday morning dancing too, which was great exercise! I like their waffles, thins, syrup, cookies – and their new chocolate chips!! If you’ve been wanting to try the Keto Krate box this is a great time to do that! Your box will be shipped immediately with 2-day shipping. 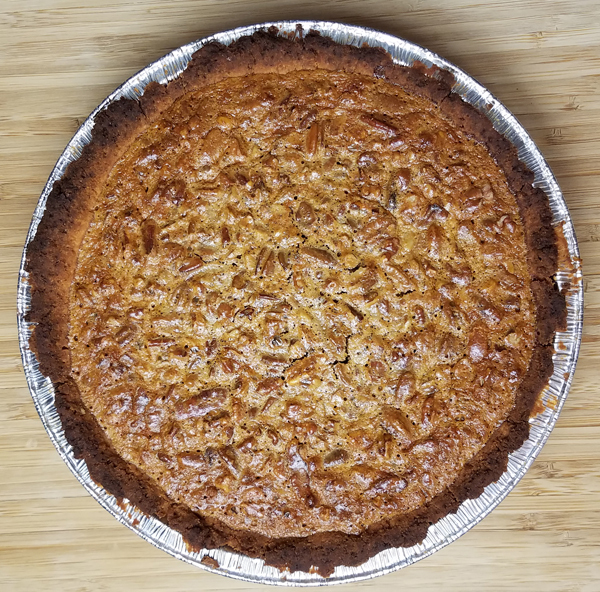 It’s day four of the Year-End Winter Low Carb Challenge and I’m loving all the fun chatter in our challenge group and around the web about the great results already – and the fun food ideas! I would love to hear how the challenge is going for you so far, or any questions you have. Leave a comment & let’s chat!